Assuming total calories consumed in a given 24hr period is the same, the results will be the same whether you ate those calories over 16hrs, 8hrs, 4hrs or whatever the case may be. The one benefit I can see is that some people that are on low calories may prefer to eat them in a smaller window because it “feels” like they’re getting more food. If that’s the case, go for it. No problem. 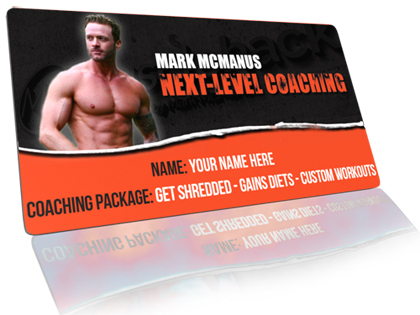 Even popular Fat-Shredding Plans like my Total Six Pack Abs will work with that approach; just let the book tell you the calories and macros you need, and if you want to get all that inside 8hrs every day…do it! 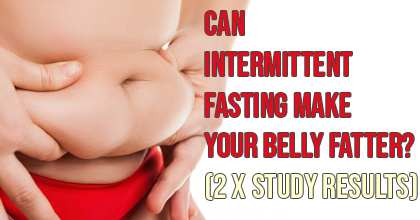 2 studies point to the real possibility that having these fasting periods followed by small feeding windows can lead to MORE fat gain…but specifically MORE BELLY FAT GAIN. STUDY 1 was done on 2 groups of mice. One group eating normally, and the other getting all their food in a 4hr window. The fasting group gained more belly fat. Get this…their weight was the same, they just specifically gained fat in the belly area…a BEER BELLY, if you will. STUDY 2 put rats on an ALTERNATE-DAY FASTING PLAN for 3 months. Basically one day you eat normally, the next 24hrs you fast. Alternating every day like this. They lost weight. Great. But incredibly…they GAINED belly/abdominal fat! That’s crazy. In humans, this is known as “central adiposity”. Think about that. You would think it impossible to gain belly fat while you lost total body weight. But it happens. If you know someone doing IF, share this post with them! How can it be that going for periods without food can specifically add fat to the belly area? The researchers found that on the “binge and fast” style of eating promoted by IF, glucose ends up staying in the blood longer, meaning that they have stopped responding to insulin – to shut down glucose production – and this inevitably ends up stored as fat tissue. (2) A “gene expression profile favoring lipid deposition”. Their bodies tended to be in “fat storage mode” – and specifically around the belly area. 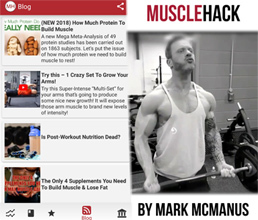 NOTE: If you like this, I also have 9 ways to jack up the BIG 3 anabolic hormones naturally. 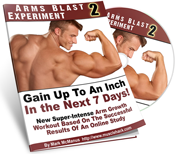 Get gains faster by MAXIMZING levels of testosterone, growth hormone and insulin. NOTE: Yes it’s an animal study, but these same systems and processes happen in the human body. What you should do with this info is simply be cautious when it comes to IF. If you know for sure that it works for you – good. 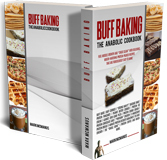 If you’ve ever experienced abdominal fat gains despite fasting – stop doing it! Also, you may experience “belly fat rebound” i.e. the fasting works great, but if and when you go back to a regular eating pattern, you end up with MORE belly fat than before. If so…again…stop the fasting periods. Love you work bro. Can you tell us were to find the studies? I was not sure if they were public yet. I did hear about the studies though.